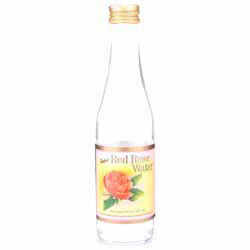 Rose water is made from distillation of f rose petals. Rose Water is a by-product of the production of rose oil used for perfume. 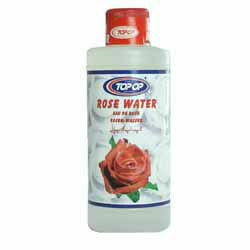 Rose Water can be used to flavour food, as a component in some cosmetic preparations. 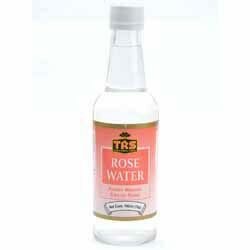 Rose Water is also used for some religious purposes in India.